Provide instructions on proper waste management (including mandatory recyclables, special wastes, unregulated hazardous waste, and compostables) to new occupants—and to all residents at least once per year. Collect recycling (or provide for collection) at least once a month if collection costs for trash are included in the occupants’ rent or fees. Provide an equal number of containers for mandatory recyclables if you provide trash containers available to the general public (excluding bathrooms). The recycling and trash containers must be placed as close to each other as possible to provide equally convenient access, and properly labelled with decals provided by CSWD. Recycling containers should be medium or royal blue, and trash containers can NOT be royal or medium blue. Failure to comply may result in fines of up to $500 per incident. For more details on legal requirements, see CSWD’s Ordinance, Vermont Act 148 (Universal Recycling & Composting Law), and VT Department of Health’s Rental Housing Health Code (Section 5.5). 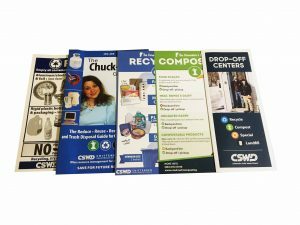 CSWD produces a number of materials – posters, stickers, brochures, recycling bins and food scrap collection bins – that help residents make responsible decisions about the resources that they use. We’ve specifically created a Move-in kit and Move-out kit for landlords to give their tenants as they arrive and leave. To download and print, or to submit a request, visit our Available Resources page and select “Landlords” from the drop-down menu. Presentations on recycling and composting to educate residents. Site visits from CSWD staff to assess current waste management set-up; suggest adjustments/signage as needed to increase effectiveness of collection programs. Tours of our facilities, such as Green Mountain Compost and the Materials Recovery Facility (MRF), to learn more about the “whys” and “hows” of composting and recycling. 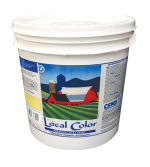 Nearly half the latex paint we receive at our Environmental Depot is recycled into Local Color Paint and sold in locations throughout Vermont. Landlords especially love how affordable and the durable (often only requiring one coat!) Local Color is. 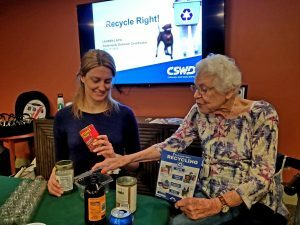 CSWD offers thousands of dollars in grant funding annually to help Chittenden County communities, institutions and not-for-profit organizations keep more resources out of the landfill and meet State and CSWD requirements. Grants include The Community Clean Up Fund, Recycling & Composting Container Grants, and Waste Reduction Project Grants.